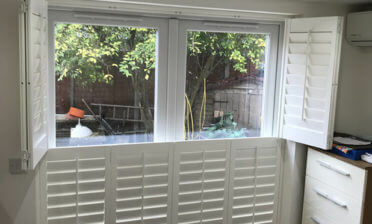 Ben was in North London to install these Tier on Tier Solid Raised Shutters for a customer named Joanna. 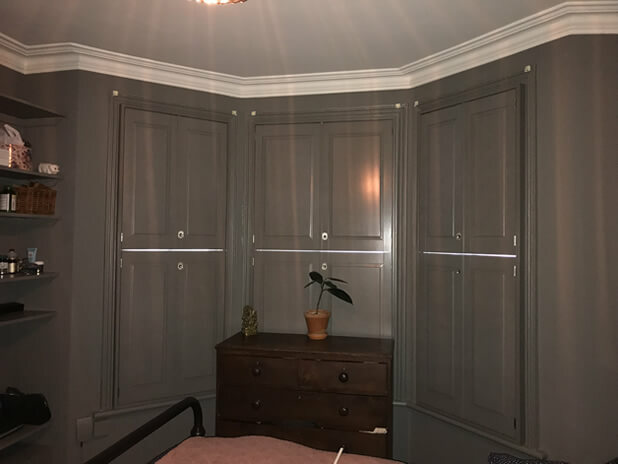 Our client loved the look of our solid shutters and asked that we design and install them in her living room and back bedroom. She was looking to have both sets of shutters finished in customer colours, which is available on certain ranges of our shutters. In this case we created the shutters from our Fiji hardwood range which allows for any finish that you may desire! 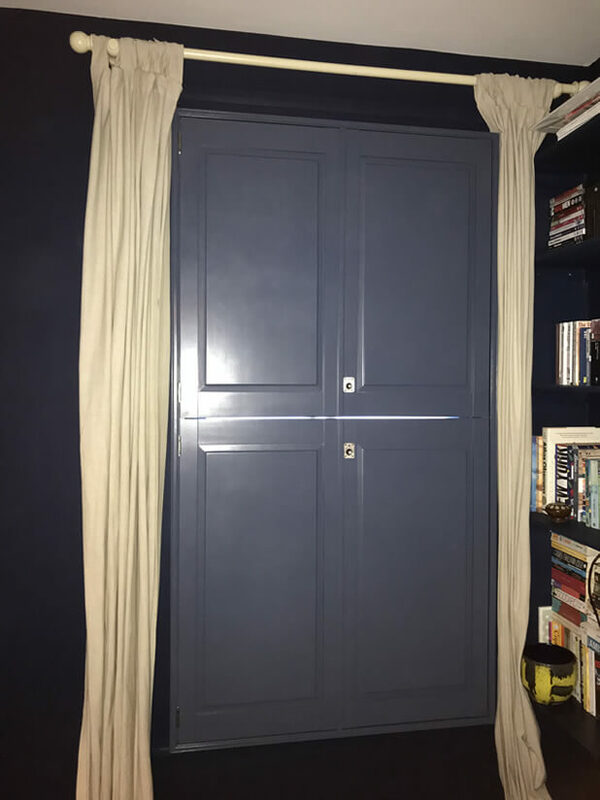 Joanna asked that we finish the living room shutters in Royal Navy by Little Greene and in the bedroom a Farrow & Ball colour called Moles Breath. 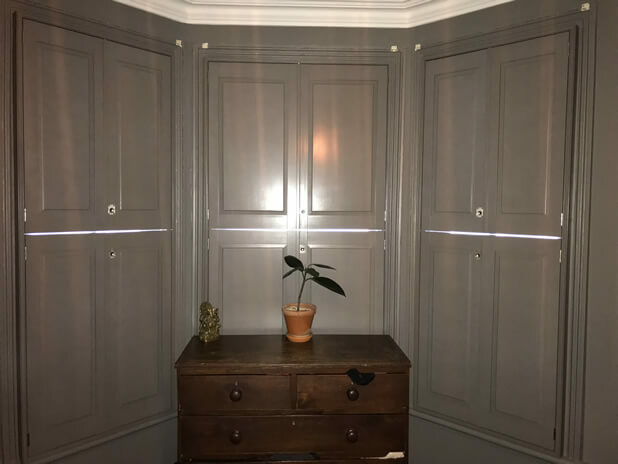 The great thing about our custom colour service is that we can colour the shutters in exactly the paint/shade that you requite and we even have the ability to colour match. Our client was delighted with her new shutters, with attention to detail down to hinges which are finished in a lovely brushed nickel plating. 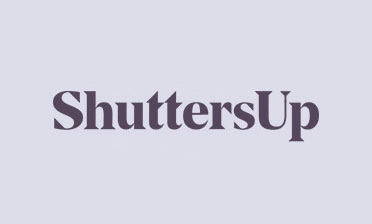 Copyright © 2006-2018 ShuttersUp All rights reserved. Registration Number: 07350964, VAT Number: 976852852.